The first thing on how to arrange wedding balloons is by making a balloon bouquet. You can inflate 10 to 15 balloons in similar color to create wonderful bouquets. You can gather all balloons using a ribbon. You can create a cluster on the balloon with a ribbon. Then you can tie the ribbon attached on the balloons together to give a wonderful bouquet. You can place them on each corner of the ceiling. Some people also use it to decorate the floor on the entrance area and wedding venue. 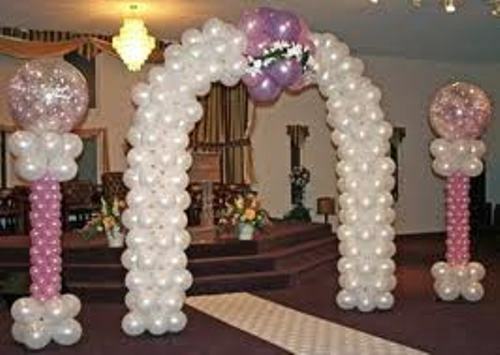 The next thing on how to arrange wedding balloons is by creating balloon arches. The wedding arches can be seen in outdoor and indoor areas. If you decorate it with flowers, it will look beautiful, but you have to spend a lot of money to get it. You can choose balloons instead of flowers to make it look adorable. Install the arches along the aisle. Then you can decorate the corner space of the arches with balloons. If the arches are made in heart shaped design, you can place it along the arches using a ribbon. If you want to avoid the complicated arrangement with balloon, you can have free balloon flying on the ceiling. This decoration is perfect for the indoor location. 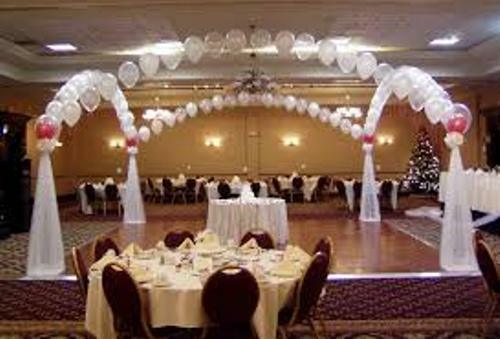 If you decide to get married inside the ballroom, you can have the balloon inflated with helium and decorate the bottom part with ribbon. Let the balloon fly freely on the ceiling. Choose the balloon in bold color so that they can present contrasting look with the ceiling color. The balloon comes in various sizes, shapes and colors. If you want to give a focal point on the ceiling, you can choose a very big balloon to fly there. It can be made in heart shaped design to represent the romantic look. 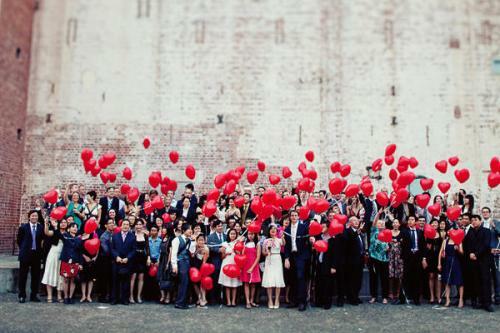 What do you think about the ideas on how to arrange wedding balloons?